Matt Damon to Star in Neill Blomkamp’s Next Film? 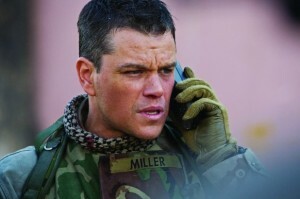 Matt Damon is one of my favorite working actors today. This is mostly due to the Bourne trilogy, partly due to The Departed. The man has picked some great projects in his career. Not all of them have been great, but he has been pretty smart lately. So what film is he looking to work on next? Let me piece it together. Damon wants to be in director Neill Blomkamp’s next film Elysium bad enough that he needs to use three really’s. This is perfect match in my eyes because Blomkamp’s film will be highly anticipated after what he did with District 9 and Damon will add the star power to attract even more film goers. What do you think of this pairing? Let us know in the comments below.